When I read passages of Scripture like this one from Psalm 93 my mind struggles to comprehend how ancient, in human terms, is the throne of God. How unassailable it is, how enduring and steadfast it is – and will always be. What a wonderful picture of the majesty and the supremacy of our great God. The seas are one of the most powerful forces at work in our world; a force that humans can in no way control or tame. But much more than that, in the Scriptures the seas often represent the tumult and turmoil of rebellious nations, of humans in alienation from God, in rebellion and revolt. In the New Testament Jesus speaks about the signs that were portents of the close to this age. He said the seas and the waves would be roaring such that human hearts would fail them for sheer terror. 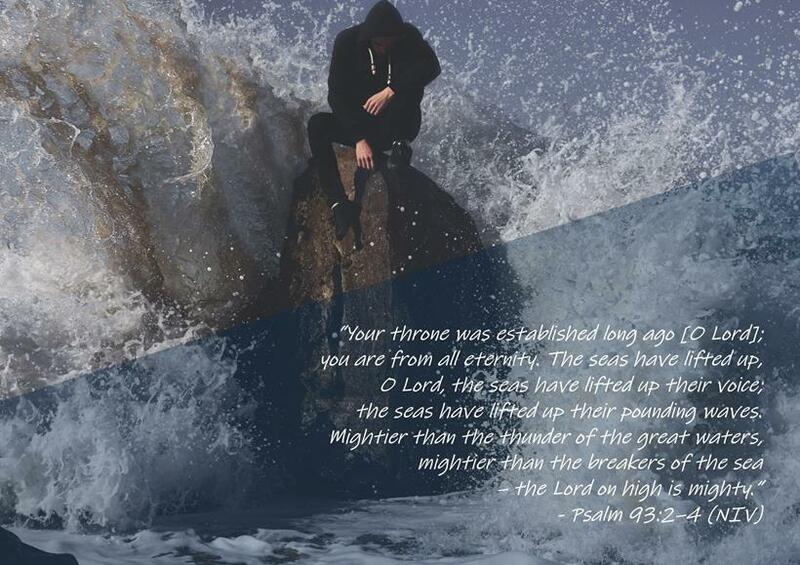 And so, there’s a tremendous upsurge of opposition and rebellion against divine majesty – it is happening in many ways all around us as the sound of the waves, the seas roaring, the thunder of the breakers. It’s overpowering at times. But in the midst of it all, like the psalmist saw that day in the spirit, we need only to lift our eyes up above all that commotion and noise … and see, by faith, our God seated on His immovable throne in His supremacy, glory and peace, unruffled and poised … and recognise that He is still in complete control no matter who thinks, on earth, that they have some red button they can press to end it all. Our God is seated on His throne.